Sweet Spring Deals on "Lace Back Detail Long Dress Dresses - Multi/black/neutral"
"Lace Back Detail Long Dress Dresses - Multi/black/neutral"
Add an edgy vibe to any outfit with multi-buckled boots. 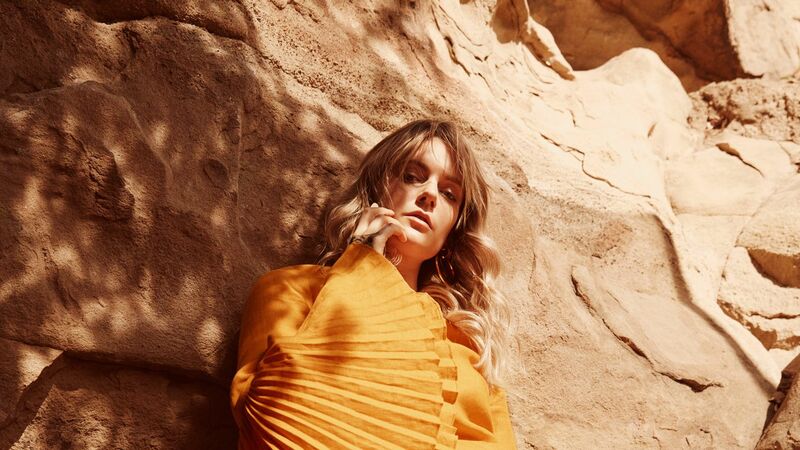 Swedish singer Tove Lo crafts brutally honest songs with a beat. Here, she goes unplugged in soft silhouettes and pared-back neutrals. Break up that wardrobe rut with the new pencil skirts that will put the power back in power dressing! "Lace Detail Long Dress Dresses - Black/neutral/multi"
"Maxi at shortest point 58" Maxi at longest point 60" Slit 37" Poly. Imported"
"Lace Detail Dress Dresses - Neutral/black/multi"
"Lace Sleeve Detail Dress Dresses - Multi/neutral/black"
"Printed Lace Detail Dress Dresses - Black/neutral/multi"
"Floral Lace Detail Dress Dresses - Neutral/black/multi"
"Lace Detail Dress Dresses - Multi/neutral"
"Sequin Detail Long Dress Dresses - Multi/neutral/black"
"Gold Detailed Long Dress Dresses - Multi/neutral/black"
"Plus Size Lace Detail Dress Dresses - Neutral/black/multi"
"Long Lace Dress Dresses - Neutral/black/multi"
"Lace Back Bodycon Dress Dresses - Neutral/multi/black"
"Lace Back Bodycon Dress Dresses - Black/multi/neutral"
"Plus Size Lace Detail Dress Dresses - Multi/neutral"
"Applique Detail Dress Dresses - Black/multi/neutral"
"Strappy Lace Detail Dress Dresses - Pink/black/neutral"
"Stripe Detail Dress Dresses - Neutral/black/multi"
"Sleeve Detail Floral Dress Dresses - Multi/black/neutral"
"Mesh Detail Glitter Dress Dresses - Neutral/black/multi"
"Mesh Detail Floral Dress Dresses - Neutral/black/multi"